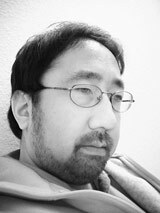 Steven Kazuo Takasugi, born 1960 in Los Angeles, studied composition with Noah Creshevsky, Bunita Marcus, Morton Feldman, Brian Ferneyhough, Joji Yuasa and Roger Reynolds (PhD chair), as well as computer music with Charles Dodge, F. Richard Moore, and Harold Cohen. His undergraduate work began at the University of California, Los Angeles and completed at the Brooklyn College Conservatory of Music, City University of New York. He received his masters and doctoral degrees in composition from the University of California, San Diego and has held artists and guest residencies in Japan, Germany, France, Israel, Austria, and the United States. His work has been presented worldwide including: Salt Festival, Victoria, British Columbia; Ensemble Dal Niente, Evanston; SiMN, Brazil; Forma Leipzig, Germany; Yong Siew Toh Conservatory of Music, Singapore; Spark Festival, Minnesota; MusikFabrik, Cologne; University of North Texas, Denton; Acousmain, Frankfurt; E-werk, Freiburg; Transit Festival, Leuven, Belgium; Ultraschall and MaerzMusik, Berlin; HaTeiva, Jaffa, Israel; University College Cork, Ireland; Bucharest Academy of Music, Romania; Symphony Space, New York; Stockholm New Music; State Theater, Freiburg; Bludenz Festival for Contemporary Music, Austria; ISCM Geneva; ICMC Thessaloniki, Greece; IRCAM, Paris; Asia Music Week 2000, Yokohama; Tempus Novum, Tokyo; The Central Conservatory of Music, Beijing; the Darmstadt Summer Courses for New Music, Germany. He’s the recipient of numerous awards including a 2010 Guggenheim Foundation Fellowship, a Japan Foundation Artist Fellowship and Residency, a DAAD HSK Award, a Heinrich-Strobel Foundation Experimentalstudio Grant, an ASCAP Award, a UC Regents Fellowship, the Maxwell H. and Muriel Gluck Endowed Fellowship for Music Composition, a UCLA Pierre Boulez Residency, and a special scholarship from the Mayor of Darmstadt. He has lectured extensively and is author of many articles on New Music and aesthetics. Takasugi is an Associate of the Harvard University Music Department and also Managing Director of its Summer Composition Institute. He is permanent faculty at the International Summer Academy for Composition, Academy Schloss Solitude in Stuttgart and the Tzlil Meudcan Summer Course for Contemporary Performance and Composition in Israel. He has taught at the University of California, San Diego, the California Institute of the Arts, the Kunitachi College of Music, Tokyo, HaTeiva in Jaffa, Israel, and the Dian Red Kechil International Young Composers Residency in Singapore. He is one of the founding editors of Search Journal for New Music and Culture and is co-director of the Darmstadt Forum at the International Summer Courses for New Music in Germany.